These chewy cherry brownie bundtlets are as delicious as they are pretty, with a rich brown crumb, ribbons of cherry jam inside and little dollops of cherry jam on top. Best of all, they are super easy to make. A few months ago I shared a fabulous recipe for marmalade glazed baked chicken from my friend Jamie Schler’s beautiful book, Orange Appeal* and I mentioned a few of her other recipes I had tried. One of those was chocolate orange marmalade brownies. 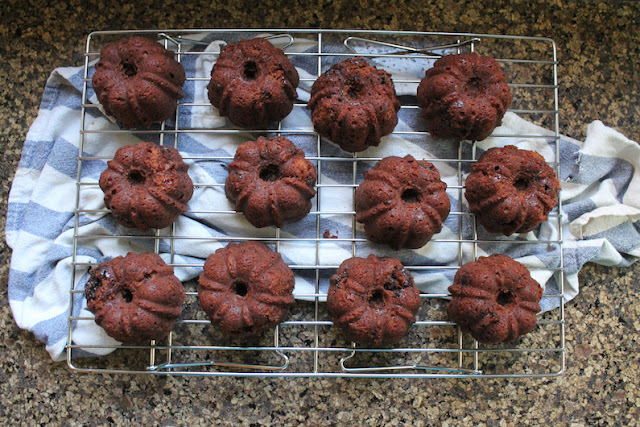 Baked in a small pan, they are sticky and chocolatey with a welcome bite of bitter orange. It occurred to me that Jamie’s recipe is wonderful in another way. It is readily adaptable to whatever other flavors of jam or marmalade you might have on hand, assuming they work well with chocolate, of course. I decided to put that theory to the test for this month’s Bundt Bakers theme of cherries. Since cherry jam is sweeter than orange marmalade, I adjusted the amount of sugar necessary accordingly. 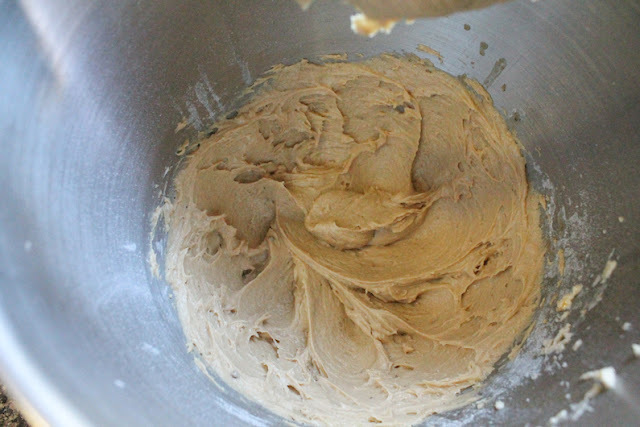 And because I am lazy, I also threw it all together in the mixing bowl instead of creaming the butter and sugar, etc. Cherries and chocolate are a classic combination. When you bring these treats to the table, I promise they’ll get an Oooooh! and a collective swoon from all the chocolate and cherry lovers. This recipe is adapted from the chocolate orange brownies in Orange Appeal by Jamie Schler. N.B. Allergy alert: The Lindt Cherry Intense chocolate bar has little nibs of almond. I was not aware when I bought it since almond is not mentioned in the name, but it is there in the description and ingredients list. 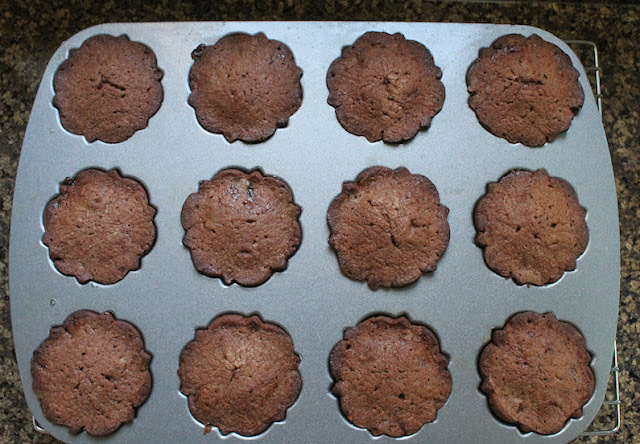 Preheat the oven to 350°F or 180°C and prepare a 12-cup bundtlet pan by greasing it liberally with melted butter. I use a pastry brush for this job. 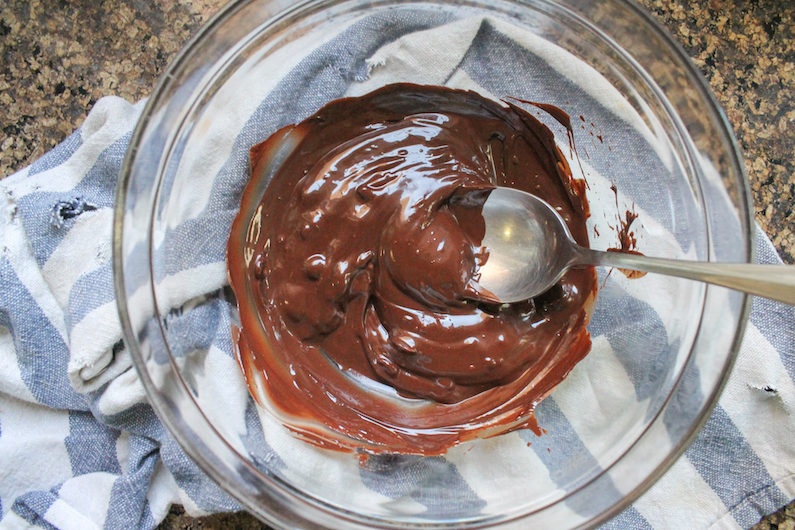 Put your chocolates, broken into pieces, into a microwaveable bowl and melt them with a few short zaps of 10-15 seconds at a time, stirring in between as they start to melt. 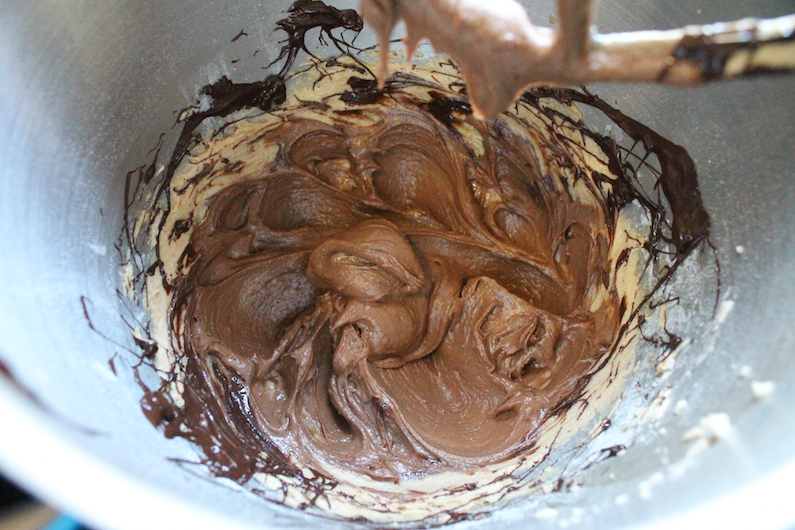 Set the melted chocolate aside. In the bowl of your stand mixer or another mixing bowl if you are using electric beaters, add all of the other ingredients except the cherry jam. Beat on medium for 1-2 minutes, scraping the bowl down with a rubber spatula halfway through. Pour in the melted chocolate and beat briefly until combined, scraping the bowl down in between. 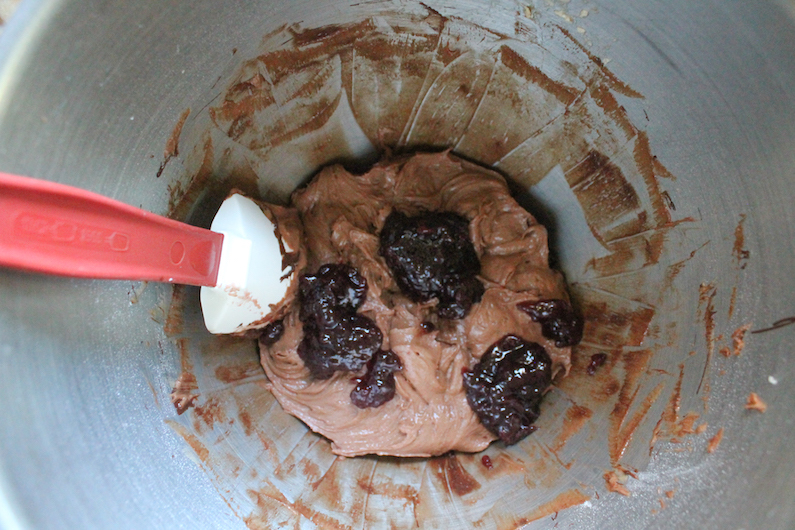 Put the cherry jam in the batter in big dollops. Use your spatula to fold it in so that there are still big bits of jam visible. 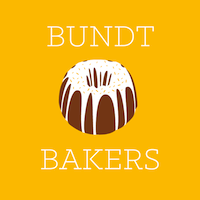 Use a spoon or scoop to divide the batter into the prepared bundtlet pan. 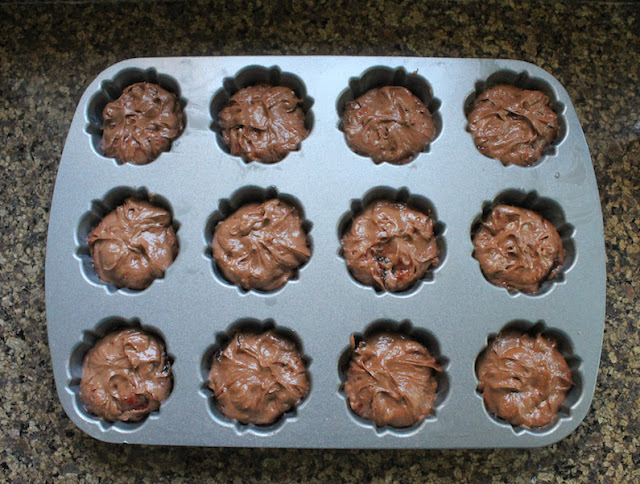 Bake in the preheated oven for 20-25 minutes or until the cherry brownie bundtlets have risen nicely and are a little darker brown around the edges. Remove them from the oven and leave to cool for just a couple of minutes before turning them out of the pan. 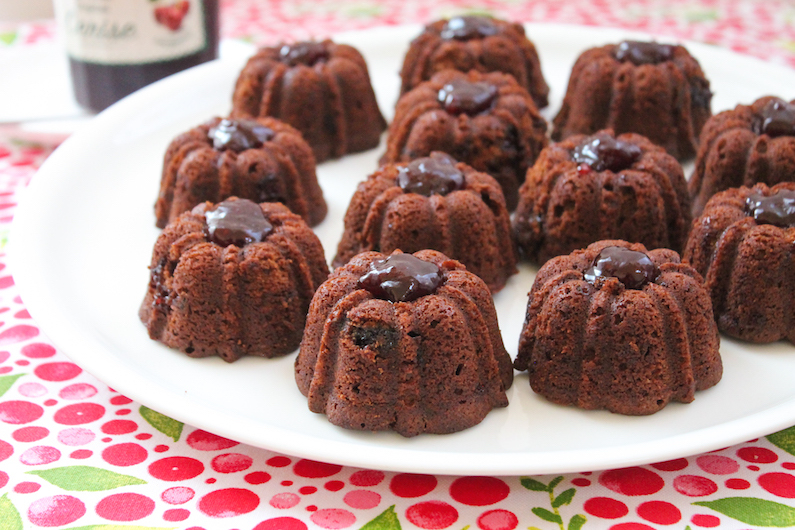 If the baked jam is sticking to your pan, use a small spoon to loosen the bundtlets before turning them out. Use the bottom of a chopstick or a similar tool to push the middle of the bundtlets down to make a hole. Once the bundtlets are cool, spoon about 1/2 a teaspoon of cherry jam into the center of each. 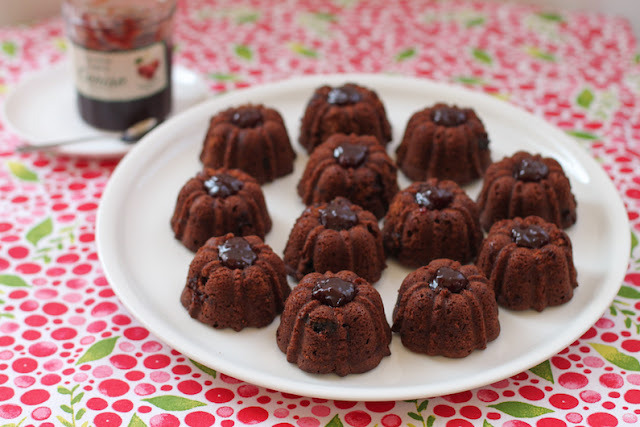 Many thanks to this month’s host Sneha of Sneha’s Recipe for the delightful theme. 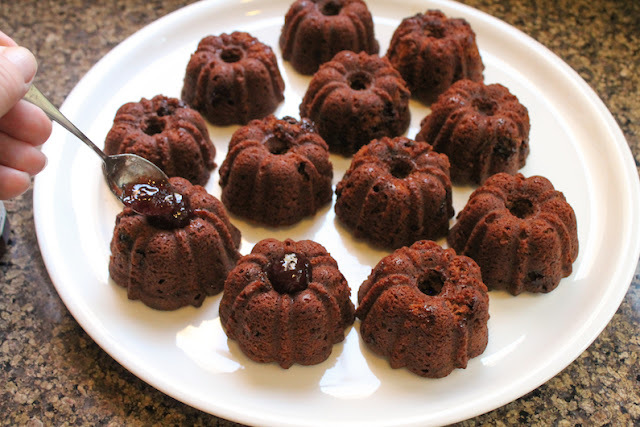 Check out all the other cherrylicious Bundts we have for you today. *Amazon affiliate link: If you buy the book Orange Appeal after following this link, I earn a few pennies at no extra cost to you. Just go read the reviews then decide. It's a wonderful book.